Belgrade- The women members of the Military Intelligence Agency of the Ministry of Defence of the Republic of Serbia officially marked the International Women’s Day-8th March. 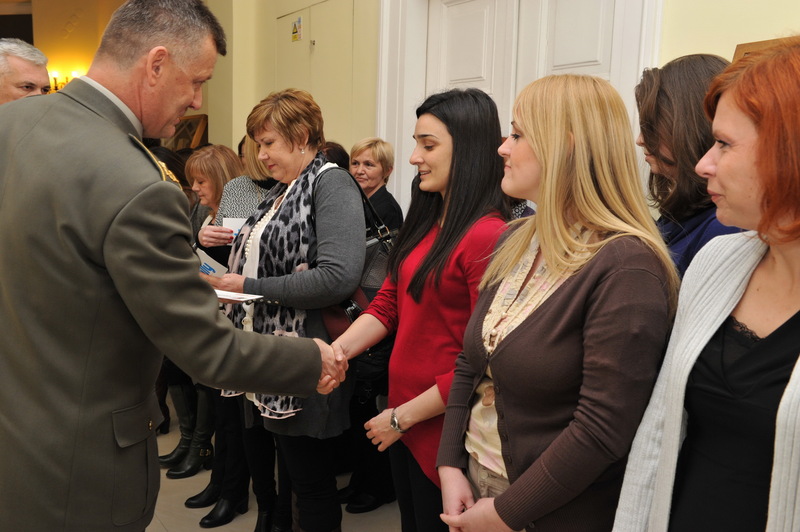 The MIA’s Director Brigadier General Slavoljub Dabic congratulated the holiday to all women colleagues on the behalf of all the members of the Agency and presented them with the appropriate gift. He pointed out that the number of the women employed in the MIA has significantly increased in the last decade and it is on the European level now. “The principle of the gender equality and non-discrimination is one of the fundamental human rights and it is fully respected in the MIA’’, emphasized Brigadier General Dabic and reminded that the equality of women is guaranteed by the Constitution of the Republic of Serbia.